Opportunity to see the Big Five - Lions, Leopards, Rhinos, Buffalos and Elephant! 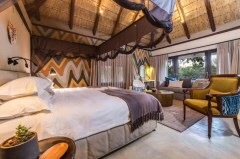 *Sabi Sabi Private Reserve also offers luxury stays at Selati Camp, Earth Lodge and Bush Lodge. On arrival to O.R Tambo International Airport, you will be met by a representative and transferred to your included scheduled flight to Skukuza Airport. Your transfer to Little Bush Camp will offer your the chance to view wildlife en-route so have your camera ready! After checking in to Little Bush Camp, enjoy a refreshing cocktail and a welcoming orientation. Settle in and take your time to appreciate the vibrant and eclectic mix of furnishings and décor garnered from all corners of the African continent. Enjoy a selection of high tea treats before you set off on your late afternoon/evening safari with your Ranger and Shangaan tracker team, to view Africa’s wildlife in their natural habitat viewed from the comfort of your open safari vehicle. In the evening, return to the lodge for a sumptuous dinner, which is presented by the Head Chef. Wake up to a light breakfast before setting out on your morning safari. 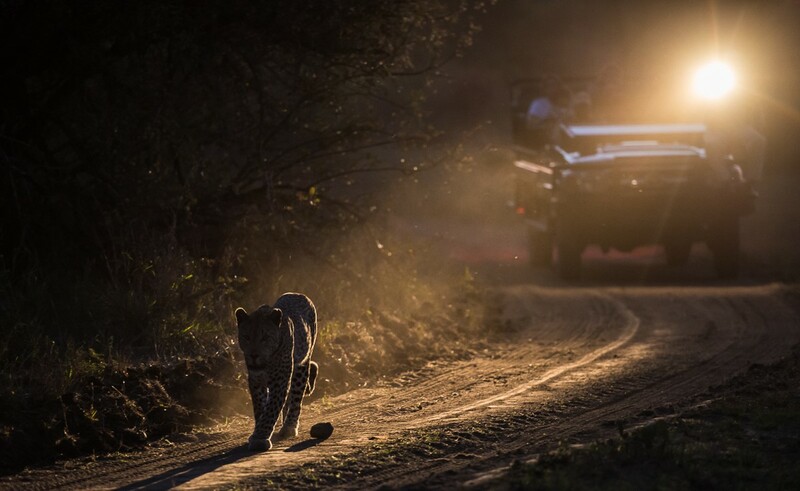 Bring your camera and get ready to tick the Big Five off your list! 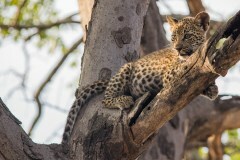 Follow in the footsteps of your experienced rangers to track the mighty Leopards, Lions, Buffalos, Rhinos and Elephants! Return to the camp for a hearty breakfast. You will have the option to join an environmental awareness walking safari. The rest of the afternoon is spent at your leisure where you can soak in the serene surroundings of the bush and enjoy the camp's facilities. Your morning starts off with a safari team for a 3-hour game drive. After returning to the camp, enjoy a delicious breakfast and spend the day at leisure. Browse the boutique shop for some safari memories or spend the morning on the deck of your private suite, enjoying the sounds and sights of nature. After a leisurely lunch, there is still time to enjoy the environs of Little Bush Camp – recline at one of the many intimate seating areas and catch up on some reading, or enjoy the tranquillity of nature, before it is time to set off on yet another exciting night time safari, where you have another opportunity to view nocturnal wildlife in their habitat and view the beauty of the African night sky and the magnificent Milky Way. Spend your morning departing on a final game drive safari before it is time to leave behind this unforgettable stay and bid farewell to the amazing staff. Our representative will transfer you to Skukuza airport for your included scheduled flight back to O.R Tambo International Airport and in time for your outbound flight. The included internal flights are between O.R Tambo International Airport to Skukuza Airport. 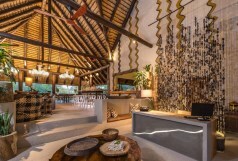 This payment is collected on behalf of the Sabi Sand Wildtuin and at an additional per person/per night cost of R$114 in 2018, and R$138 in 2019. ***The published rates quoted are for our 3-nights fly in package. Shorter or longer stays are also available, please contact us for nightly rates.